When you are injured in a car accident, it can seem like your whole world is turned upside down. In the blink of an eye, you can be dealing with life-threatening injuries and long-term pain and suffering. Even worse, while you are struggling to recover and put your life back together again, missed work and rising medical bills can throw your family into financial hardship. The steps you take immediately after your accident can have a significant impact on your ability to collect compensation. Leaving the scene of an accident – it is against the law to leave the scene of an accident in Colorado. If the accident caused bodily harm or property damage, then you must stay otherwise you can be subject to criminal charges. Not obtaining a police report – a police report can be a vital piece of evidence that can help your attorney establish liability after an accident. Failing to get a police report can damage your chances of obtaining maximum compensation. Not collecting insurance information – even if you don’t see any damage, you still should exchange insurance information with the other driver. If you find that you are more injured than you thought, you will need to collect compensation from the other driver’s insurance company. Be sure to collect the name of the other driver, his or her home and work addresses, home, work and cell phone numbers, driver license number, name of the insurance company, policy number, license plate number, and make and model of the other vehicle. Not getting evidence – be sure to collect any eye witness contact information. It may be necessary to get their testimony when you are ready to file a claim. In addition, take pictures of surrounding areas, the position of the cars, tire marks, car damage, and any injuries you have sustained. Not seeking medical care – don’t ever assume that you are uninjured just because you feel okay immediately after the accident. In many cases, injuries can take several days to become known and it is always best to see a doctor as soon as possible after an accident. If you do not go to the doctor immediately after an accident, the insurance company may use that against you when seeking compensation. Not keeping doctor’s appointments – always keep your doctor’s appointments and therapy appointments and always get medicine filled. If you don’t, the insurance adjuster may use this to show proof that you are not as injured as you claim to be. Signing papers – never sign any papers or give any statements without first speaking to an experienced attorney. Your attorney will be able to help you through this process and prevent you from being taken advantage of in this critical time. Apologize – never apologize to the other driver or to the insurance adjuster. Even a simple “I’m sorry” can be used to show that believe you are partly to blame for the accident. This can significantly jeopardize your ability to file a claim. Not keeping sufficient medical records and receipts – the insurance company will need visual evidence of what you spent on your injury and your accident. Always keep records of your payments, as well as miles traveled. 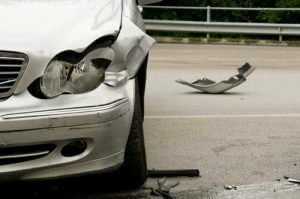 Not contacting an attorney – after an accident, the insurance company will do anything to protect their own bottom line. They are not on your side – regardless of what their ads may claim. As such, you need an experienced attorney on your side from the very start to protect your ability to file a claim. If you or someone you love has been injured in an accident that was caused by another person’s negligence, our attorneys can help. At the Rector Law Firm, our Colorado Springs personal injury attorneys have the experience and the resources to build a case that is designed to obtain maximum compensation for our clients. Call us today at 719-578-1106 for a free initial consultation and review of your case.